As part of its regular engagement with the community, American Studies offers a variety of public lectures and public lecture series. These deal with all aspects of American life, both contemporary and historical, and they cover a whole range of issues, from cultural, to political, social, economic, environmental, literary, and international. Recent guest lectures, open to the public, are listed below. From time to time, ASL also offers full lecture series, cycles of ten to fifteen lectures organized around a shared topic. Especially noteworthy among these is the Fulbright Lecture Series that had been held until 2013 and for which Prof. Hartmut Keil was the innovative and driving force. 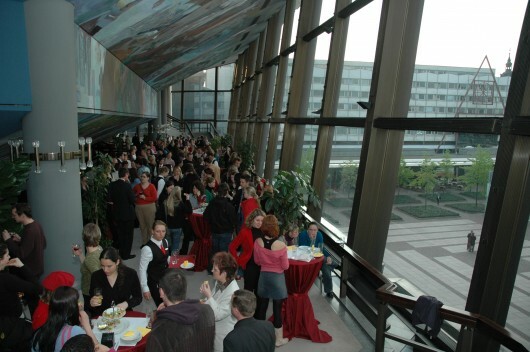 Working with staff and students, he organized an annual lecture series that brought Fulbright Scholars from around Europe to Leipzig to lecture and discuss the richness, complexity, and controversies of American life. To see the posters (PDF) of the Fulbright Lecture Series in 2013, 2012, and 2011, including the individual lecturers' topics, please click on the respective year. The Horst Saalbach Lecture is another example of American Studies Leipzig reaching out to the community with informative and important talks to enrich German-American Dialogue. 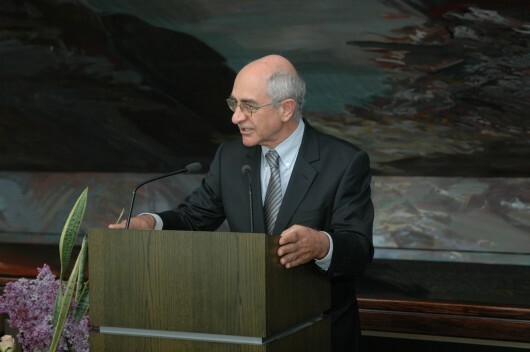 On April 27, 2005, at the Leipzig Gewandhaus, former Economics Minister of Saxony and CEO of AMD Microchips, Dr. Marin Gillo, held a lecture on the role of culture in shaping commercial and political ties between countries, especially between the United States and Germany.